Last year, Panny announced the FZ200 with two other cameras, which I believe were the LX7 and the G5. The FZ60 was also announced at the same time, but separately from those three, if I remember correctly. I'm holding out hope for other news, perhaps very soon. 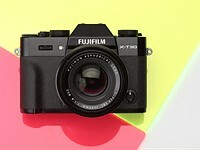 Today panasonic just release the FZ70 and XS3. what else coming soon ?